This photograph shows inmates J. Penticost, prisoner number 8947, and J.W. Shaw, prisoner number 9075. 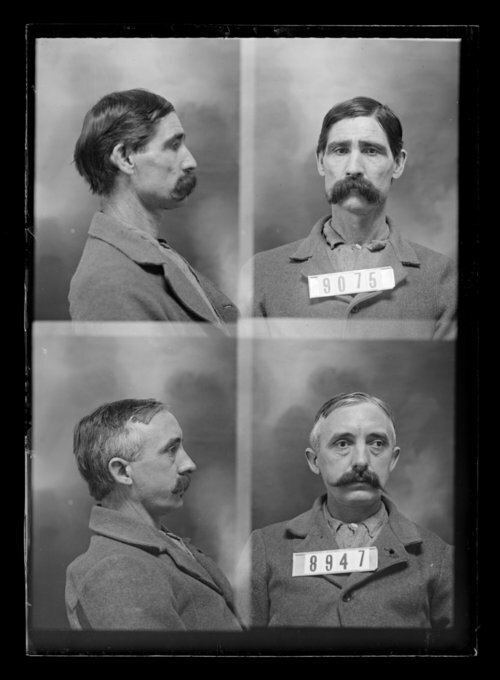 J. Penticost, also known as Joe Pentecost, was received at the Kansas State Penitentiary on June 4, 1899 from Payne County, Oklahoma for manslaughter. Inmate J.W. Shaw was received at the penitentiary on October 15, 1899 from Woodson County, Kansas for assault with intent to kill.